So much yarn, so little time. : Look what I won! 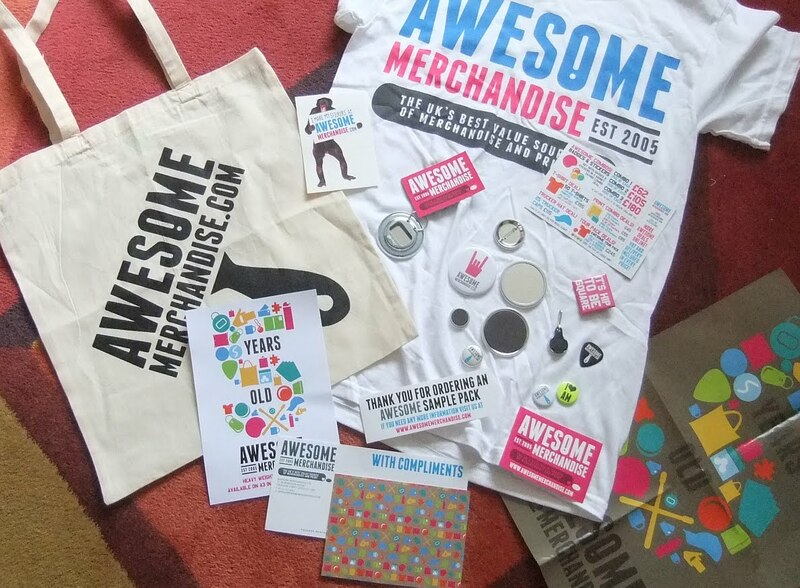 I was browsing for merchandising material last week, wondering about ordering some badges, when I came across a competition run by Awesome Merchandise. I can't resist trying for freebies, so I set to work. The task was to write a poem about (funnily enough) Awesome Merchandise. Banner, badge, keyring or card? I can’t choose, it’s just too hard! You’re awesome (you knew that!) you’re the one that I *heart*! I have to say I'm impressed with the range and the quality. It's been 30 years or more since I last needed a lighter, and I confess I nearly set fire to myself trying out my freebie - yep, I held it upside down! I recommend keeping an eye on their facebook page in case they have any more competitions coming up. Nice! It's a very good poem. At least you got some nice items. thanks sapphire! I'm very pleased to have won the goody bag.